Read the news without using up all of your bandwidth. A wide variety of sites offer mobile or text-only versions that work on any computer, but they’re occasionally buried and hard to find on the modern web. There are more than a few reasons to want to know where these sites are, however. Maybe you don’t like clutter? Maybe you’re one of the millions still using dial-up, and want a low-bandwidth way to read news? Maybe you regularly tether your computer to your smartphone, but don’t have an unlimited data plan? Maybe you like to read the news on your e-reader and want clean sites for doing so? 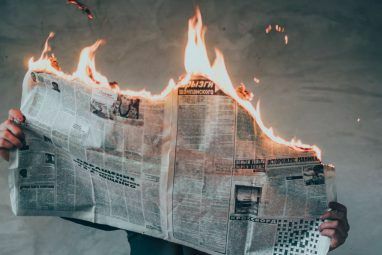 Or maybe you want a list of quick-to-load news sources in case a disaster slows down your Internet connection just when you need it most. Whatever your reason, find a list of links to mobile news sites that work on any computer below, without the need for tricks like user agent switchers. To begin: Google Reader’s mobile site. Google Reader Mobile, or go directly to your tags. 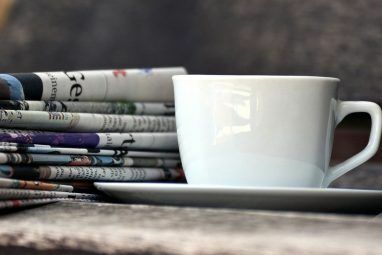 The mobile version of Google Reader will even convert non-mobile versions of sites linked to into mobile pages, meaning it’s the best friend of anyone looking to save on bandwidth and screen real estate. It’s a quick way to see which stories are big right now. The Christian Science Monitor Text-Only Edition. Beautifully formated for reading; no images at all. Mobile version of USA Today. Smartphone-esque; images might look stretched in desktop browser. Mobile version of the Wall Street Journal. Okay-looking interface; articles behind paywall. Mobile version of the Chicago Tribune. Doesn’t look bad. Mobile site of Reuters [No longer available]. All the latest articles from the wire service, works great on desktop. Mobile site for Bloomberg, a great source for business news. Looks great on the desktop. Mobile version of The Onion. By far America’s most accurate newspaper, and the mobile site ain’t bad either. NPR offers two services: Thin.NPR.org, which offers no images, no audio and no formatting. Or, if you prefer, there’s m.NPR.org, which functions like a smartphone app but works quite well. Democracy Now’s mobile site is another option, though it can be confusing. Voice of America’s mobile site. The official external radio station of the US government. Why watch TV when you can read it? Don’t over-think that sentence. NBC News mobile site. Works well. Still MSN-branded; might disappear soon. Fox News mobile site. All headlines and sections. Articles are split into pieces. CBS mobile version. Extremely thin interface is annoying; articles split. ABC mobile version. Smartphonesque interface; large images that actually look quite good. 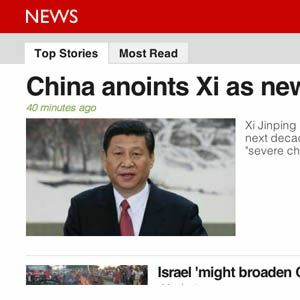 You can’t talk about global news sources without mentioning the BBC. It offers two mobile versions: a beautiful, simple site (pictured above) that I think should replace the default one and a older looking mobile site. Decide which you prefer for yourself. Mobile version of The Economist (UK/International). Limited access to stories, but their “This Week” sections are always worth reading. CBC’s mobile site (Canada). Notably lets you pick whether you images or not. Text-only version works great, though font is quite small. The Toronto Star’s mobile site (Canada). Smartphonesque interface looks good on the desktop. The National Post’s mobile site (Canada). AFP’s Mobile site. This is a French wire service. Site is annoyingly thin on desktop browsers, but it works. Times of India’s mobile site. Quick access to top Indian headlines, works great on desktop. Wunderground Mobile. Fastest way to get an extensive overview of the weather anywhere. Weather Channel Mobile site. USA only. National Weather Service Mobile site. USA only. Not exactly news sites, but these links can also save you some bandwidth and/or screen space. Still not enough? [NO LONGER WORKS] TidyRead.com can make a mobile version out of any site. I feel obligated to mention them, and not only because they feature MakeUseOf on their home page – it’s a magic way to make any site lightweight. 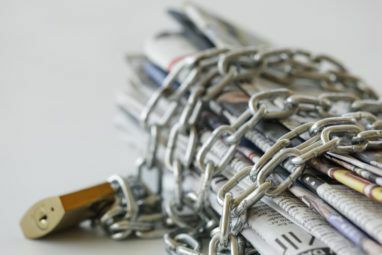 I’m an evil liberal/conservative/communist/corporatist/Canadian/American trying to prevent people from accessing particular news sources. Having said that, please: if you know of a mobile news site that works on desktop browsers share it below. Let’s make this the ultimate list of such sites together. Thank you for catering to people that like to read (can read? ), rather than view dazzle. I'm sorry, but your site is not clean or readable when it's plastered with advertisements. I am desperately seeking a readable news source for foreign news (especially Canadian) because I'm sick of the constant assault from animated advertisements. I came to your site looking for a text only news site, and your website title and description were both misleading. I love forecast.io for weather......I dont know if it's actually more "lightweigt" than a mobile equivalent..... but it's defnitely simple and straight forward and typically spot on! I think you forgot the most lightweight news site of all, Drugdereport. It links to sites that aren't lightweight, though. Most of the sites he links to have mobile versions that open up appropriately, but you are completely spot on regarding the bloat of current media sites. Enjoyed the article. Thanks for sharing another idea!